Farmer Bill Coburn directs his border collie Lucy to herd sheep using vocal and whistle commands. Close up of a border collie with Coburn. Coburn raises hair sheep on Windy Knolls Farm. A skillful border collie herds a small flock of ducks. Bill Coburn and one of his border collies, Lucy. 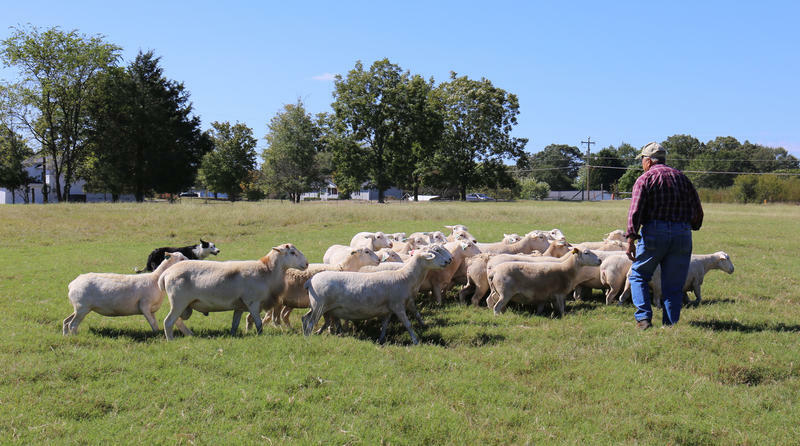 At Windy Knolls Farm in Laurens County, Bill Coburn raises ducks and sheep. He’s retired from farming, but he still spends time on one of his favorite occupations: training border collies. The shaggy mid-sized dogs have a natural instinct to herd animals, and Coburn says he’s been working with them for nearly 30 years. He still shows his border collies regularly at demonstrations throughout the southeast, and at the State Fair, he will show the dogs in action for a few select afternoons. South Carolina Public Radio's Laura Hunsberger has the story for this South Carolina Focus. 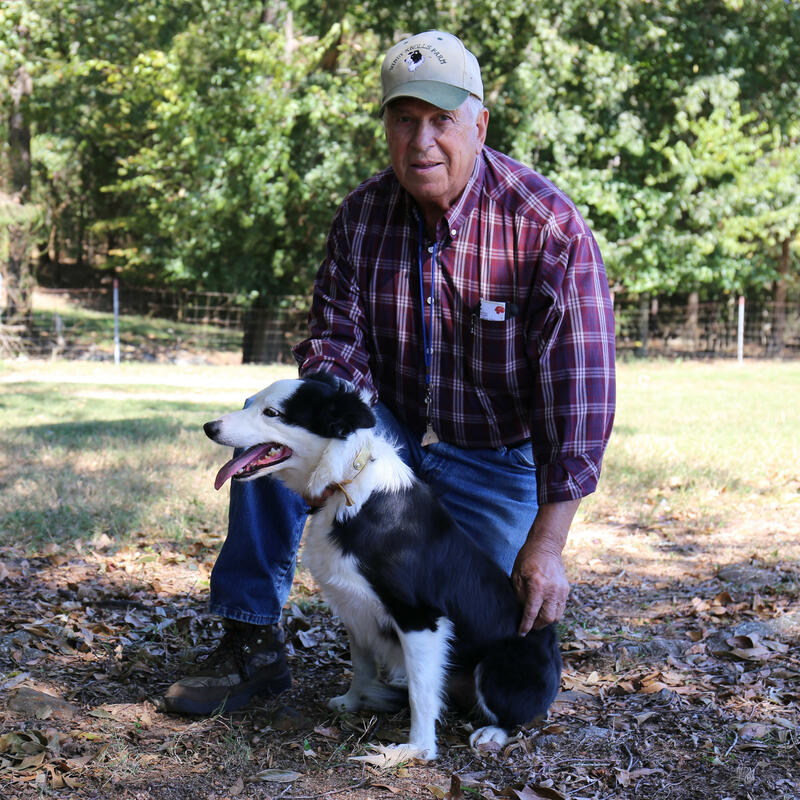 Bill Coburn and his border collies will be at the state fair on October 18 and 19. 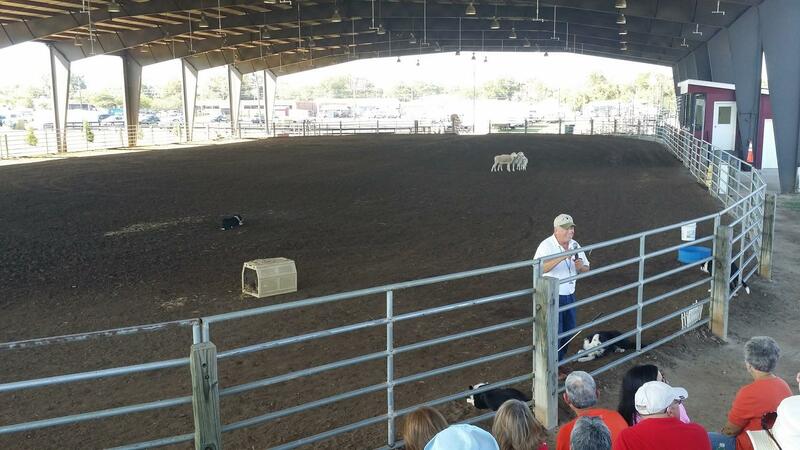 Bill Coburn presenting his Border Collie Demonstration at the South Carolina State Fair in 2016. 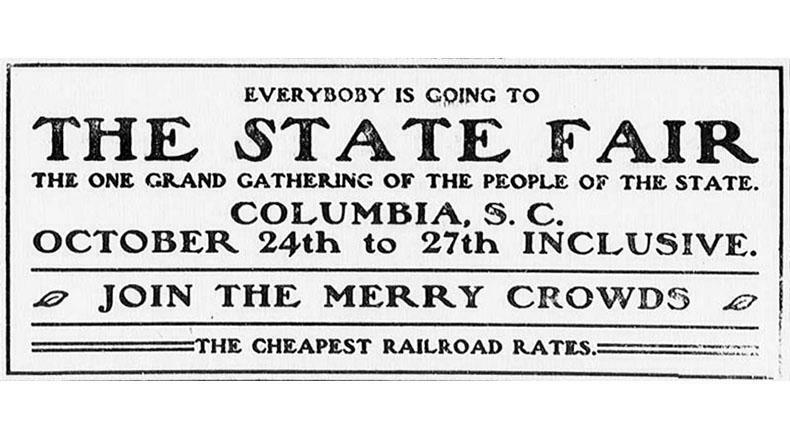 (Originally broadcast 05/05/17) - With October come two certainties: Trick-or-Treaters will be abroad on the 31st, and the South Carolina State Fair will attract thousands to Columbia. 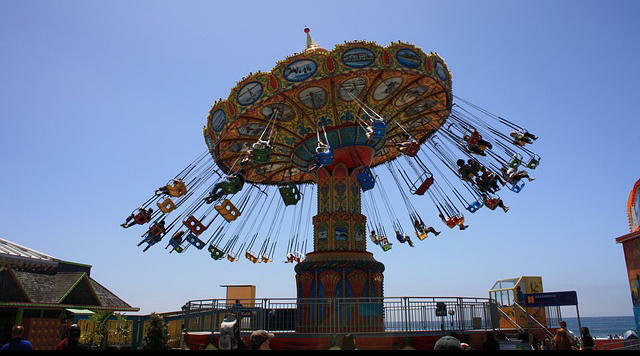 In this edition of Walter Edgar's Journal, from May 5, 2016, Dr.
One of the fall traditions in South Carolina is a visit to the South Carolina State Fair. Part of the tradition for many is eating food that we don’t normally eat. Today we talk with vendors of such delectable – and sometimes weird – foods as elephant ears, chicken with Frosted Flakes, deep fried candy and doughnut burgers, and find out why the South Carolina State Fair is one of their favorite fairs.